Announcing the PEF Spring for Teachers 2018 Raffle Winners! Summer is coming…. Here’s your chance to win two L.L. Bean Kayaks- plus two PFD’s! L.L. 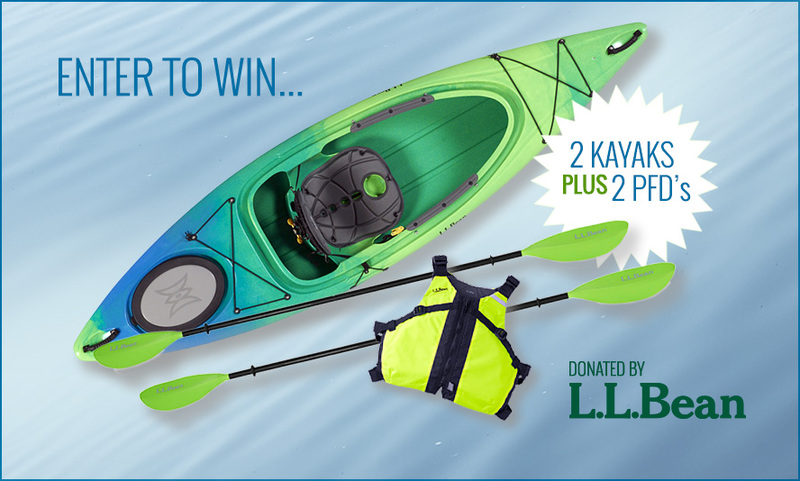 Bean has generously donated a set of two kayaks and two pfd’s that will go home with one lucky winner! Raffle Tickets are $20 each, and there is no limit to the number of tickets you can purchase. The winner will be chose at random on Monday, May 8th at the Portland Education Foundation Spring For Teachers event, an evening of fun, community, and support for the PEF Teacher Grants Program. Kayaks can be delivered to your home within a 10 mile radius of Portland. Or, you can arrange for delivery/pick up. Tickets can be purchased online, or you can mail a check to PEF at 353 Cumberland Avenue, Portland, Maine 04101. Checks must be received by 5/8 or the ticket holder will be ineligible. https://www.foundationforpps.org/wp-content/uploads/2018/09/pps_logo-300x83.png 0 0 Jason Spooner https://www.foundationforpps.org/wp-content/uploads/2018/09/pps_logo-300x83.png Jason Spooner2018-04-30 09:51:042018-04-30 09:55:41Summer is coming…. Here’s your chance to win two L.L. Bean Kayaks- plus two PFD’s! Portland Education Foundation Awarded $50,000 Grant from The Stephen and Tabitha King Foundation for PreK-Grade 5 Literacy Resources! This program addresses a general lack of funding for books and literacy resources, helps to build collections that honor and celebrate culture and language differences, thereby helping to meet students where they are and bridge gaps between students from different backgrounds. “We know that students benefit greatly from having a variety of reading materials at different levels and genres. We rarely have the opportunity to make this level of investment in classroom libraries,” said Portland Public Schools (PPS) Superintendent Xavier Botana. PEF will host the Second Annual Spring for Teachers Event on Monday, May 7th from 5:30-7:30pm at the Bunker Brewing Taproom at 17 Westfield Street in Portland. Portland Public Schools Educators are invited to shop the 2017 Portland Public Library Annual Book Sale and choose up to TEN BOOKS FREE for a classroom or school library. Please bring employee identification with you to the sale. This is a Gift In Kind program unique to Portland Public Schools and the Portland Public Library. The PEF Teacher Grants Program consistently demonstrates a need for books in PPS classrooms and libraries. All of us at PPS and PEF are immensely grateful to the Staff and Trustees at the Portland Public Library for their generosity. Standing in the center of a noisy fifth-grade classroom at Lyseth Elementary School in Portland, Hannah Cordes gets the students’ attention by placing her thumb on her forehead and wiggling her fingers while she says, “Wapoosh!” The children repeat the goofy gesture—the “Silent Unicorn”—and settle into a seated circle focused on Cordes, education manager for Portland Stage Company, for today’s workshop. “What do you remember about the play?” she asks brightly, referring to Charles Dickens’ Holiday Classic, which the class recently saw at Portland Stage. “I liked the flying bed,” offers one girl. “No offense to Bob Cratchit, but he was acting like a doormat,” says a boy. https://www.foundationforpps.org/wp-content/uploads/2017/04/kayakfeature.jpg 534 888 Portland Education Foundation https://www.foundationforpps.org/wp-content/uploads/2018/09/pps_logo-300x83.png Portland Education Foundation2017-04-08 10:37:002017-04-19 09:47:22Summer is coming.... Here's your chance to win two L.L. Bean Kayaks- plus two PFD's! An anonymous donor is giving $450,000 to provide three more years of arts funding to the Portland School District, bringing his total contributions to more than $1 million in seven years.